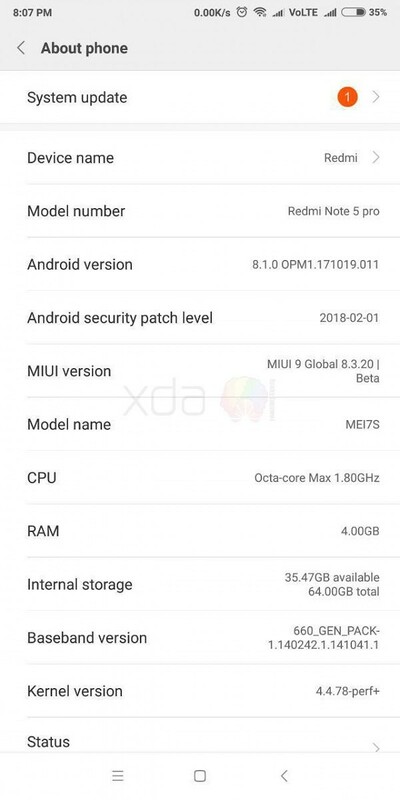 MIUI 9 on Android Oreo 8.1 for Indian Redmi Note 5 Pro leaked. 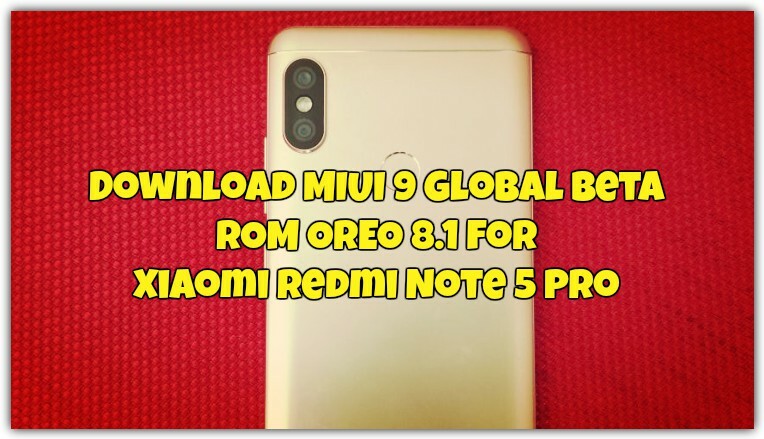 Yes, you heard it right new MIUI 9 Global Beta ROM for Xiaomi Redmi Note 5 Pro is already leaked and the new ROM comes with lots of new features and run on the latest build of Android 8.1 OREO. If you are the Indian Redmi Note 5 Pro user then you can flash this new OREO ROM on your phone. To flash this ROM on Your phone all you have to unlock the bootloader of your Redmi Note 5 pro and install the TWRP custom recovery to flash the MIUI 9 Global Beta ROM. 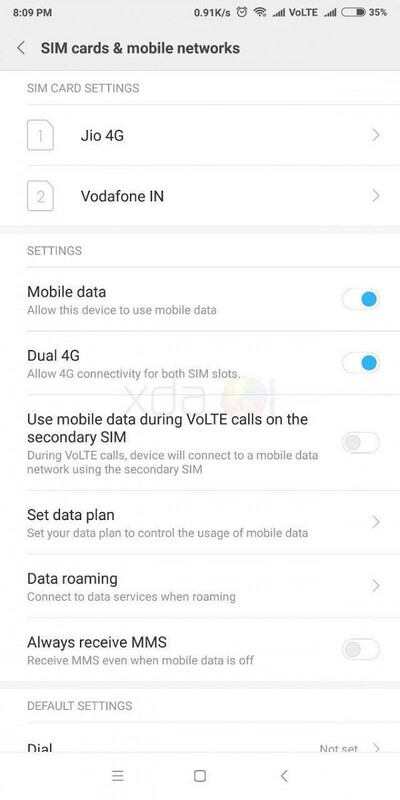 Most of the features of OREO are working fine on this ROM like dual VoLTE, picture-in-picture mode, Project Treble compatibility and lots more. This ROM is only for the Redmi Note 5 Pro users and not for the Redmi Notre 5 user. This is the Global beta ROM and comes with all the Google Apps, so no need to install the Gapss in this ROM. Here in this guide, we will help you to install the MIUI 9 Global Beta ROM on Indian Xiaomi Redmi Note 5 Pro. So let’s get started and Download MIUI 9 Global Beta ROM for Xiaomi Redmi Note 5 Pro. This guide is only for the Xiaomi Redmi Note 5 Pro user who wants to install the MIUI 9 Android 8.21 OREO ROM on their phone. Read all the steps very carefully and follow all of them one by one on your phone. 2. Install the Custom TWRP on Redmi Note 5 Pro. 3. Do take the Full backup of your phone. This process will delete all your data. 4. Make sure that your phone has enough battery. Above 80%. 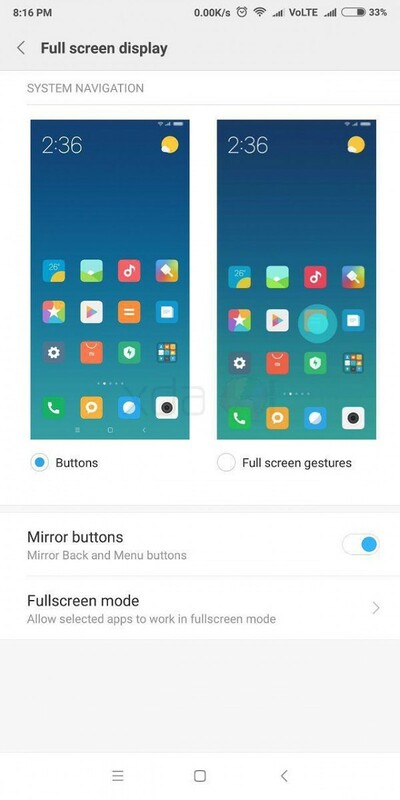 Visit this link and Download Android 8.1 MIUI 9 Global Beta ROM. Save the zip file on your phone’s internal Memory. 1. Make sure that your phone has unlocked bootloader and TWRP is installed. After that follow the next step. 2. Save the Download MIUI 9 ROM on your phone and boot your phone in TWRP recovery mode. 3. To do this switch off your phone. 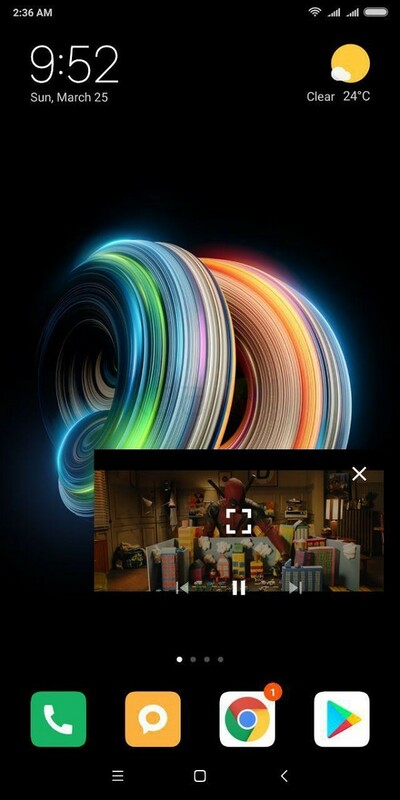 And Hold Down the Volume up + Power button for few seconds. Now your Phone will boot in TWRP mode. 4. Once your phone in TWRP mode. Go to Wipe > Advanced Wipe and Delete Cache, Dalvik Cache, Data, and System. 5. Now go back to the home page of TWRP recovery and Tap on the Install button and locate the MIUI 9 ROM zip file and flash the same on your phone. 6. 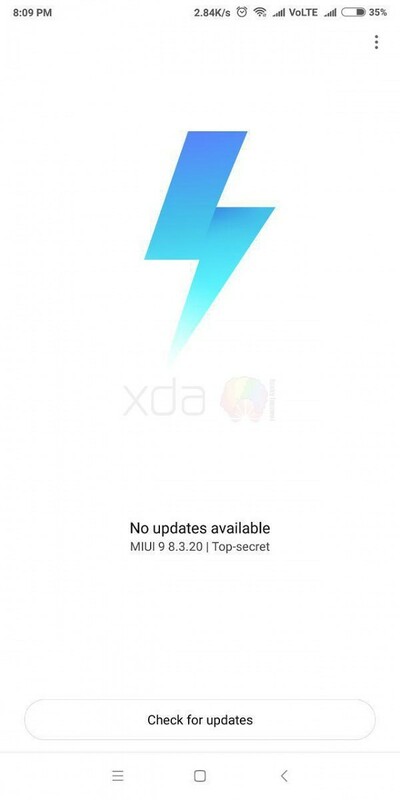 Now the MIUI 9 Flashing process will start on your Redmi Note 5 Pro. 7. Once it complete. Reboot system. Now your Redmi Note Pro is running on the MIUI 9 Global Beta version and you can enjoy all the features of Android 8.1 OREO on your phone. If you have any question or facing some problem, then leave a comment below and we will help you to fix it up.